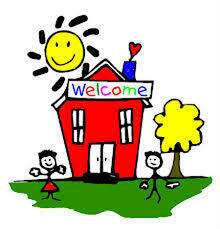 Welcome to Lurga National School’s website. On our site we will share information and photographs that will give you a flavour of life in Lurga National School. Lurga NS is one of the most southerly schools in Co. Galway, located south of Gort in the parish of Beagh. The school currently has an enrolment of 87 pupils along with 3 Mainstream Class teachers, 1 Special Education Teacher, a part-time Special Education Teacher and a part-time secretary. In Lurga National School emphasis is placed on the holistic development of each pupil through the teaching of the curriculum and by promoting arts, culture and sports. Our school officially opened in 1884, the same year that the GAA was founded and it was to this parish that Michael Cusack came to teach at the turn of the last century. at the Credit Union National Quiz in the RDS in Dublin on April 7th. Best of Luck to our Credit Union Quiz Team who will participate in the Credit Union National Quiz in Dublin at the weekend. For the first time in our history, Lurga are Credit Union Quiz champions! Congratulations Doireann, Luke, Ronan, James and Ruairí on winning the Gort Branch Credit Union Quiz, junior section. Our team then went on to the Galway Chapter Level Quiz on Fri March 1st and won again and will now go on to the All Ireland in Dublin on the 7th of April. We are so proud of you all and the hard work you undertook in preparation for the night. Congratulations to the boys from rang a 5 and rang a 6 who went in to Salthill Devon soccer grounds to represent the school Feb 26th. They played with great skill and determination in our first competitive soccer competition. They played 6 matches and came out top of their group. They went on to play the eventual winners in the semi-final but lost narrowly to Doorus NS. We are very proud of this bunch amazing footballers! ​The Scholastic Book Fair came to out school this year. We had a great few days visiting the shop every morning buying presents for our family and a few for ourselves. We managed to raise over €800 for the school that they have been able to use to buy 5 new sets of class novels for rang a 3, 4, 5 and 6. We were invited in to Gort RC to play a blitz with all the local schools. We had a great day running around in the fog and a great day was made better when the whole Connacht rugby squad showed up. Thank you so much to Gort RC for organising it all, it was a day to remember! Check out some of the ghouls and goblins that turned up to school this Halloween for the annual fancy dress party. There were games and tricks organised by rang a sé in the hall for all the pupils and staff. This year, as our fundraiser, we decided to change things up a bit and went for a spooky witches and warlocks walk. We raised a lot of money for P.E. and I.T equipment. Rang a 4,5 agus 6 enjoyed a great day out in Gort CS at their annual blitz, playing hurling and camogie, meeting new people and old friends and also meeting some inter county stars from Clare and Galway. Thank you to all the TYs for organising a great day out! Huge congratulations to past pupils Dylan and Dean Casey who competed in the U- 16 all Ireland cross country finals this year. They placed 3rd and 1st respectively with their team winning gold also. They went on to represent Ireland in the Celtic Games in Belfast and excelled with Dean placing 3rd in the U-17 age group and their team winning the gold again. These boys are ones to watch and we are all very proud of their successes to date. They are great athletes and role models for all in Lurga NS. ​All the children in school were encouraged to bring in any medals that they won throughout the school year so that they could be celebrated at a whole school assembly. It was great to see the variety of talents that we have in our school, from taekwondo to ballet, horse riding to hurling. The boys and girls from rang a 4, 5 and 6 played their hearts out in Ballinderreen and Gort and won all their matches apart from one, both teams losing narrowly to the eventual winners of the competition in both hurling and camogie. ​We are so proud of every one of you! Lurga Abú! A great day out in Corinthians at our first rugby tournament. All children from rang a 5 and 6 participated in games against other schools and target practice, winning prizes all sides. The children from 1st to 6th class kept it local this year and enjoyed a great day out at Galway Museum and Pure Skill. They learnt about marine life and this history of Galway city in the beautiful museum in the Spanish Arch. It was a lovely day so we ate lunch "al fresco" before heading over to Pure Skill. The children got to try all the different sports and worked up an appetite. They were then treated to Dominos. ​A great day out again with this bunch! Thank you to Catherine from the Road Safety Authority who came to speak to the children today. She delivered some very important information to the children about safety in the cars and tractors and when cycling at home or on the roads. We would like to congratulate the children from 2nd to 6th class,who are, Ava, Laura, Aran, Eric, Emer, Rachel, Calum, Leah, Carla, James, Evan, Cora, Emer, Niamh, Joseph, Philip, Oisin, Darragh, Ronan and Billie-Jean, who represented the school yesterday, in Ennis Pool, at the annual Swimming Gala. We are so proud of each and everyone of them as the brought home a tally of 22 medals and Best Overall School. This is the first time that the school team has placed in the top three and to come first was an amazing achievement! Well done to all! Walk starts 11:30 am via Quarry Road. All children welcome with Adult Supervision. ​With Thanks to our Parents Association. Light refreshments on the day. ​All children welcome with Adult Supervision. We are very proud of rang a sé student Laura Walsh, who will have a piece of writing published in the Irish Independent on March 15th. We did a lot of work around the centenary of the 1916 Easter Rising last year and so the challenge this year was to write our memories of it, as gaeilge. Laura did an absolutely outstanding job and was a deserving national winner. Read her work below agus bain taithneamh as. An bhlian seo caite roimh ár laethanta saoire chaitheamar uairenata fada ag déanamh leabhair faoi naoi dhéag sé dhéag. Gléasamar suas mar pháistí i naoi dhéag sé dhéag agus ghléas na múinteoirí freisin. D'ardaíomar an brat agus thosaigh gach duine ag canadh. Bhí an lá dóchreidte! Chanamar ár sean amhráin ghalacha. Bhí na ballaí maisithe le seanpictiúirí agus le tionscanath a rinneamar sa rang. Bhí sceitmíní áthais ar na dáltaí go léir. Bhí atmaisféir stairúil sa scoile. Fanfaidh an lá inár gcuimhne go deo na ndeor. Lá Fhéile Pádraig chuamar go dtí an séipéal, mar bhí aifreann spesialta ar siúl. Ghléas mé suas in éadaí ghlasa agus d'éist mé ar an gceol traidisiúnta á chasadh ag an aifrean. Chanamar ámhrán spesialta do Naomh Phádraig. Chuamar go dtí cathair na Gaillimhe, bhí paráid mór ar siúl.Idir óg agus éasta bhí gach cúinne sráide plódaidhe. Chonaic me feistis agus maisucháín na féile. Tháinig daoine ó chian is ó chóngar bhí na sráideanna dubh le daoine. Bhí atmaisféir leictreacht ann. Chonaiceamar grúpa dramaíocht ó Mhacnas. Bhí siad gléasta suas in seanéadaí naoi dhéag se dhéag, cosúil linn féin ar scoile! An rud ba mhó a thaithim liom ná go bhfuaireamar go leor milseáin ó na grúpaí a bhí ag dul thart. Ba bheag na thit mé i leige nuair a chonaic mé an fear mór ag siúl ar mhaidí arda. Nuair a bhí an paráid críochnaithe, bhí gach éinne ar scamaill a naoi. Bhaineamar ar fad an taithneamh as an lá speisialta seo, Lá Fhéile Pádraig fich sé dhéag. Check out the brilliant posters produced by the children for the details. We originally ran the task of producing a poster for the 'Christmas Fair' as a competition but as I'm sure you can agree it was impossible to pick a winner. Every single child put in a huge effort and the results speak for themselves. They are ALL winners!!! Order your handmade Christmas cards from Lurga N.S. The children are hard at work creating cards and decorations for the Christmas fair to raise fund for the new classroom. Never a dull day in Lurga. The circus arrived on Thursday 27th October to the children's delight. We spent the afternoon being entertained by jugglers, clowns, balancing acts and a contortionist. It was amazing and a lovely treat for all the children. Friday 14th October we, the fourth, fifth and sixth class girls, represented south Galway in the I.N.T.O. mini 7s competition. It was played in Loughgeorge and we played our hearts out. We played 3 matches, winning two and losing narrowly in our last match. We were spurred on by a great team speech made by Laura Walsh, who was our captain for the day. She inspired us to play to our full potential. It was very close in the end and we were disappointed but we were proud to get as far as we did. All the staff in Lurga N.S. is very proud of all the girls! ​A special thanks to Leah Shanahan Killeen who was injured on the day but lead the support from the sidelines. The girls from rang a ceathair, cúig agus a sé represented Lurga in the first round of the I.N.T.O. mini 7s in Kinvara beating all the teams there on the day. They now go on to represent south Galway in the finals which take place in Loughgeorge at 10am on Friday the 14th of October. Best of luck to all involved, we are very proud of you! Go Lurga! This year a record number of children participated in the cross country competition in Renmore. Every child improved on their performance from last year and we had two children who placed in the top thirty, Jamie Forde and Cora Gantley. The children from third and fourth class ran 1000 metres and 5th and 6th class ran 1200 metres. The children represented Lurga very well this year and, as always, did the school proud. They competed in the Gort Grda Blitz for the first year ever where the girls and boys from 6th class competed together. The boys did very well in the Cumann na mBunscoil and lost only to the eventual winners of the competition and the girls reached the semi final in Cumann na mBunscoil also when they lost narrowly to a very strong team. We are all so proud of every last one of them. The children from 3rd to 6th were invited to Ennis pool to take part in the annual swimming gala. We ended up bringing children from 1st to 6th class to make up the teams and thank you so much to those boys from 2nd class, Philip and Joseph, who stood up to the challenge to represent Lurga N.S. and also, an extra special thanks, to Darragh from 1st class, who filled in last minute. The teams did Lurga proud. 5th class swim team who came fourth: Carla (4th class), Beibhinn (3rd class), Leah (4th class), Emer (4th class) and Ava (5th class). 6th class swim team who came second: Éanna (6th class), Donnagh (6th class), Dean (6th class) and Dylan (6th class). 6th Class swim team who came fifth: Aoife (6th class), Casey (6th class), Ava Rock (5th class), Tara-Rose (6th class) and Chloe Walsh (6th class). 4th class swim team who came second: Carla (4th class), Beibhinn (3rd class), Leah (4th class), Emer (4th class) and Rachel (4th class). ​Sunday Novemebr 15. More details to follow. Congratulations to our 3rd to 6th class students who competed in this years Irish Primary School Cross Country Championships in Renmore, Galway. The 5/6th class races were held over a distance of 1,000m with the 3rd/4th class races being held over a distance of 800m. Everyone in Lurga NS wishes Jamie, Alicia, Dylan and Dean all the very best of luck in the Galway County Finals coming up in the next few weeks. Lurga National School re-opens it doors on Thursday 27th August 2015. We look forward to catching up with everybody as they move into their new classes, but in particular we look forward to meeting our new starters! Press the button on the right to go to straight to our new Maths Fun 4 All page, which is located in the "Parents and BOM" button at the top of the website. Here you will find loads of maths links and fun information on maths! A huge congratulations to all who danced at our Céilí Mór on Tues June 16th. The good weather brought out the best in the crowds and the children and our céilí was thoroughly enjoyable. Thanks yet again to our brilliant dancing expert Louise who does amazing work. Congratulations to our Senior Camogie Team who reached this year’s Cumann na mBunscol 5 a side (A) County Final. Lurga NS played against our near neighbours Ballyturn NS in the final on Thurs June 11th. Our girls gave everything but unfortunately came up short at the end. Congrats to all who took part over the course of the year and we are all very proud of this amazing achievement for Lurga NS. Despite losing out we are not too down hearted in the knowledge that our team will be the same again next year! Lurga NS shows its support for our camogie county finalists. On Wed June 10th we had our Lurga NS Sport’s Day 2015. We took part in parachute games, construction games, circle games, penalty shootouts, castle games, an obstacle course, as well as many more. For a full report please go to our Senior Room page. Seo iad na pictiúir go léir ó sheachtáin na Gaeilge inár scoil. D’eagraíomar a lán imeachtaí speisialta chun an ócáid a cheiliúradh. Ar dtús rinneamar Tráth na gCeist ar maidin, tar éis an sos chuaigh gach duine amach sa chlos i gcómhair Tóraíocht Taisce. Tar éis am lóin chuireamar ceolchoirm ar súil sa halla agus ag deireadh an lae, bhí céilí mór ag na daltaí móra amuigh sa chlos. Eight of our finest hurlers travelled to Gort GAA pitch on Thurs Sept 25th to take part in this year's Hurling Mini 7's competition. Despite being substantially younger than their opponents our team battled hard and played some excellent hurling. Ten girls from our senior room travelled to Kinvara GAA pitch on Tues Sept 30th to take part in this year's Camogie Mini 7's. This was the first camogie team to represent Lurga NS for over 30 years. Although losing their first match there were great celebrations when the girls won their second match and drew their final match. Well done to both teams on some great performances and we look forward to competing against the same schools again later in the year. 19 of our cross country runners headed to Renmore, Galway, on Tuesday September 23rd to compete in the Galway semi-finals of the Primary Schools Cross Country Championships 2014. All our competitors from Lurga gave it all their best and we came home with three medal winners. These three Lurga athletes will advance to the Galway finals, which will take place in Renmore on Tuesday September 30th. Congratulations to all involved, we're very proud of you all. Congratulations to Dean who came 20th and Dylan who came 6th in the Galway Finals on Tues Sept. Dylan will now go on to compete in the Connaught Finals later in October. We all have had a very busy year in Lurga National School. Here are some of the highlights, in pictures, from the school year that was 2013/2014. We were all delighted to welcome Ms Siobhán Conneely to the school on Tuesday June 10th. Siobhán spoke to the school about the training involved in becoming a Special Olympics athlete. The boys and girls from sixth class presented Siobhán with a cheque for €700. This was the amount that the class raised as a result of the Cake Sale they organised just before the Easter Holidays. Siobhán competed in the Special Olympics Ireland Games in Limerick on June 13th – 15th , in her chosen Equestrian Event. We were delighted to hear the great news that Siobhán received two silver medals. Congratulations Siobhán and we wish you the best of luck in your quest to compete in the Special Olympics World Games in Los Angeles next year. Well done to all the Lurga National School pupils who were awarded medals throughout the year. Here is a gallery of some of the medals brought back to Lurga NS throughout the year. We should always remember that it's the taking part that counts, but it is nice to win a medal also! On Thursday June 5th we held our annual Lurga NS Sports Day. The Day featured various competitive and non-competitive games and activities. The games and activities that we took part in included Space Markers, Saucers and Domes, Tailgatherer, Stuck Unstuck, Farmyard, Circleball, Penalties, Burned, The Obstacle Course, Hoop Toss, Dodgeball, Free Throws, Sprints, Three-legged Races and Mini 7’s World Cup. Congratulations to Lurga’s very own Dylan, Dean, Donnagh and Éanna. They all had a very busy weekend representing Michael Cusack’s U12 team. They were victorious in the Brian Kelly U12 tournament in Loughrea on Saturday and the Joe Gillane tournament in Kilbeacanty on Sunday. Commiserations to the Michael Cusack’s U14 team who were narrowly beaten in the B1 County Cup Final on Thursday 22nd May, by Kilimordaly. The Michael Cusack's team featured Diarmuid, Dylan, Dean and James from Lurga NS. On Friday May 30th Lurga National School travelled on its annual school tour. Classes from Junior Infants up to 1st class visited Free Range Kids Farm in Croom and classes from 2nd to 6th headed to the UL Activity Centre in Killaloe. Thankfully the weather was brilliant and a great day of fun activities was had by all. For more pictures from our school tours please go to our individual class pages. It's hard to believe that it's just over a year ago since Doireann, James, Macauley and Oisín travelled to the Sony HD Studios in Ballymount, Dublin. Accompanied by their families, teachers and friends our four pupils gave the show's host, Ray D'Arcy, a real insight into life at Lurga National School. Seo iad na pictiúir go léir ó sheachtáin na Gaeilge inár scoil. D’eagraíomar a lán imeachtaí speisialta chun an ócáid a cheiliúradh. Ar dtús rinneamar Tráth na gCeist ar maidin, tar éis an sos chuaigh gach duine amach sa chlos i gcómhair Tóraíocht Taisce. Tar éis am lóin chuireamar ceolchoirm ar súil sa halla agus ag deireadh an lae, bhí céilí mór ag na daltaí móra amuigh sa chlos. Bhí an-spórt ag gach éinne! Well done to both our teams in the recent Gort Credit Union Quiz held in Gort Community Centre. Our under 11's team finished in fifth place, just 4 points off the winning team. Our U13s team also performed brilliantly and finished in fourth place, just three points off the winning team. Well done to all involved for all the hard work, we're a very proud school today. 1. What is the fourth prime number in ascending order, bearing in mind that one is not a prime number? 2. In Greek mythology who was the God of all Gods? We were delighted to have Michael Cusack’s GAA Club visit us in January. A massive thank you to Liam Gantley, Shane Keane, David Prendergast and Brendan Fahy for letting us get up close and personal with the U-14s and U-15s county championship cups. Finally a huge congratulations, to everyone involved in Michael Cusack’s GAA Club, on winning the Galway Juvenile Club of the year award for 2013. Preparations are well underway in Lurga National School for Christmas 2013. This year we will be performing a Christmas show for all the Lurga NS community. Here are some behind the scenes shots of what we're up to! For more pictures go to our individual class pages.